Most people graduate college knowing all the ins and outs of how to handle money. Said nobody ever. 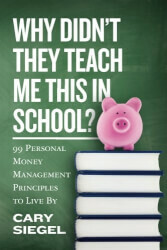 Gift your grad this useful primer on practical financial concepts that they will soon need to understand.